I don't know about y'all, but I'm ready to gobble gobble and have some time off for the Thanksgiving holiday! Thanks for some great feedback from the Ladies Guide on Monday (here, if you missed it!). I was glad to hear that many of you look forward to my guides each year, just as I do! 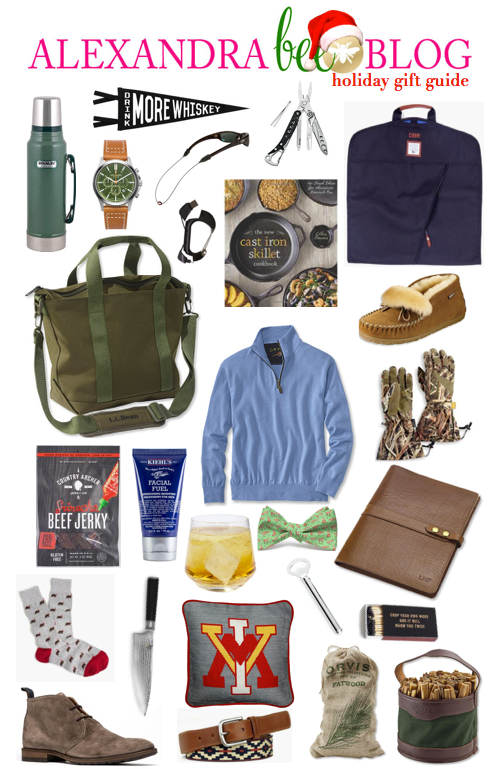 I'm excited today to be sharing the Gents Gift Guide with you today! Not gonna lie, I'm pretty proud of myself for making the time to actually get you this post today! As always, this is inspired by Bryce and includes many of his own favorite belongings! Again, I condensed it down to one big guide and worked to include mostly items under $100! This post does include affiliate links, meaning I can earn a small commission if you click and make a purchase. Thanks for your support! This list has me swooning! I've always had a type...good thing Bryce embodies it completely! What do you tend to gift the men in your life? After the expenses of the wedding and honeymoon, we've decided to keep things simple this year and just do some small stocking stuffers! We’re just doing stocking stuffers this year too! We decided we would rather go away for a fun weekend trip than buy each other gifts.